Work is currently in progress on thirty-five schools after they were damaged as a result of the passage of hurricane Maria last September. This is according to information from Permanent Secretary in the Ministry of Education and Human Resource Development, Chandler Hyacinth who was speaking at the ceremony to announce support for schools rehabilitation by the Government of Canada in Grand Bay on Thursday 6 September 2018. “Works have been completed at 6 schools” she said stating that works are already in progress it thirty-five (35) schools. “Works is still pending in about 13 schools including the secondary school we have to rebuild,” she added referring to it as a daunting task. Twenty-two primary schools sustained major damage while twenty-seven sustained severe damage requiring rehabilitation with nine requiring minor repairs. 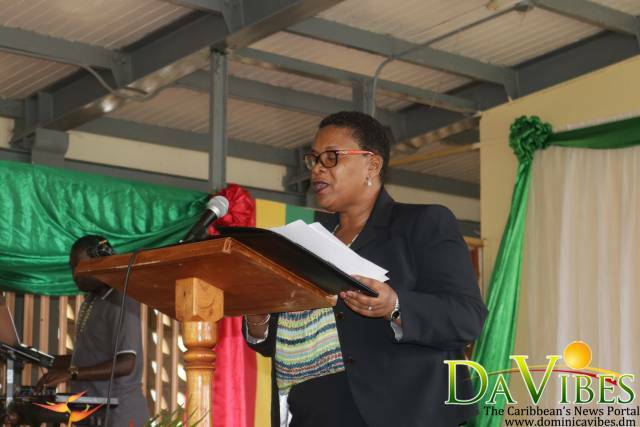 Hyacinth revealed that all secondary schools on the island require rehabilitation. Why the government is not using the school in Jimmit which has been close for a very long time to house the students of the Mahaut Primary school.